THIS ARTICLE ASSESSES THE CHARACTERISTICS OF THE digital health industry and examines whether the market is ripe for notable private equity investment. The broad scope of digital health includes categories such as mobile health, health information technology, wearable devices, telehealth and telemedicine, and personalized medicine. After several years of exponential growth, the telemedicine and digital health industry has reached an inflection point—moving from infancy to adolescence—as consumer-oriented digital health care solutions gain popularity and traditional health care providers turn to virtual care. Naturally, investment in digital health companies has seen a corresponding increase, primarily led by venture capital. But with the increasing size of venture investments deployed into fewer emerging companies, telemedicine is just now starting to gain the interest of private equity. Moreover, a handful of notable mergers could signal more industry consolidation, another sign of market maturation in this still nascent industry. Clearly, many health care institutions are investing in telemedicine and digital health (including via their own venture funds), if only to remain competitive. What is it that has venture capital, private equity, and other players so interested in digital health? And what are the key legal considerations an investor should note when evaluating a telemedicine or digital health investment? Modernizing Medicine, which makes a mobile-based electronic health record for specialists, raised $231 million from global private equity firm Warburg Pincus. GTCR, a leading private equity firm, acquired GreatCall, Inc., the largest provider of connected health and personal emergency response services for senior citizens, serving more than 800,000 subscribers across the United States. Verily, the Alphabet subsidiary formerly known as Google Life Sciences, raised $800 million in funding from Temasek, a Singapore-based investment company. Bright Health, the Minnesota-based health insurance startup that boasts “a smarter, more connected” experience, raised a new round of $160 million. American Well, the Boston-based telemedicine software company, acquired Avizia for an undisclosed amount, strategically expanding American Well’s footprint with health systems and institutional providers. A reasonable history of financial performance. Several companies within the telemedicine and digital health industry maintain a start-up mentality but have realized the history of financial performance necessary for outside investment and should no longer be considered start-ups. Scalability. Some digital health companies have obtained scalability through previous alignments and are able to demonstrate to sophisticated investors how they will drive future growth. Furthermore, they can demonstrate how to deliver a digital product in a manner that is cost-efficient and offers a high-quality user experience. Health plans and hospitals also seem to support the industry through adoption of various digital health technologies. The greater the sales volume/margin, the greater the potential profitability and accompanying return on investment for the investor. Private equity firms will also focus on areas of digital health that have products and services that need capital to increase sales to the masses, along with the impact these companies have on the economy and society. In 2018, the President signed into law the Bipartisan Budget Act, which introduced some of the most significant changes ever made to Medicare law to use telehealth, including eliminating rural restrictions for certain services and allowing Medicare reimbursement for telehealth while the patient is located at his/her home (something previously never allowed). Some of the changes become effective in 2019 while others go live in 2020. Either way, the law marks significant expansion of telehealth reimbursement, particularly for stroke and dialysis services. States continue to pass laws requiring health insurance plans to reimburse for services delivered via telehealth in the same manner plans reimburse for services delivered in person. These laws, called telehealth commercial coverage laws, currently exist in 36 states and the District of Columbia, and the list of states continues to grow. Starting January 2018, Medicare now pays a monthly recurring reimbursement for remote patient monitoring services, which will significantly assist in accelerating the adoption and use of these virtual care technologies. State laws have evolved such that a physician can create a valid doctor-patient relationship via telemedicine, without an in-person exam, in all 50 states. In 2017, Texas Governor Greg Abbott signed new telemedicine laws (SB 1107/HB 2697), bringing to a close some significant antitrust litigation brought against the Texas Medical Board. See Teladoc, Inc. v. Tex. Med. Bd., 2015 U.S. Dist. LEXIS 166754 (W.D. Tex. Dec. 14, 2015). As a result, Texas became the last state to allow physicians to connect with new patients via telehealth, rather than having to first meet in person. The Food and Drug Administration’s (FDA) Center for Devices and Radiological Health (CDRH) adopted the Digital Health Innovation Action Plan, which outlines the FDA’s approach for assuring that all Americans, including patients, consumers, and other health care customers have timely access to high-quality, safe, and effective digital health products. This plan lays out the CDRH’s vision for fostering digital health innovation while continuing to protect and promote the public health. State telehealth laws. State laws vary on what constitutes digital health, the services it covers, and those that can provide services. However, the location of the patient typically is what dictates which state law applies; telemedicine providers therefore potentially need to understand and comply with the laws of 50 states. There are compliant solutions, but it is important to identify and address risky shortcuts or failures during the due diligence stage. Stark Law. Stark Law (42 U.S.C. § 1395nn) and state law counterparts prohibit most self-referrals of Medicare “designated health services” to entities in which a physician or family member has a financial interest. Anti-kickback statutes. Federal and state anti-kickback statutes bar exchanges intended to induce or reward the purchase of goods or referral of health care services. Antitrust compliance. Pre-merger notification filings under the Hart-Scott-Rodino Act (15 U.S.C. § 18a) may be required if the transaction exceeds $84.4 million. HIPAA and state privacy laws. The Health Insurance Portability and Accountability Act of 1996 (HIPAA) (42 U.S.C. 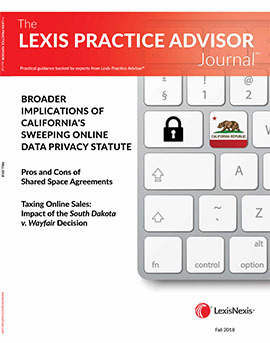 § 1320d) and state privacy laws surrounding patient privacy and data security may require increased scrutiny for digital health when determining compliance. State licensing requirements. All states require physicians to be licensed to practice in the state in which the patient is located, which means physicians providing services via digital health (i.e., telemedicine) will sometimes require licenses from multiple states and different medical boards and will be subject to differing credentialing regulations. Corporate practice of medicine rules. Because many states restrict the employment of physicians by non-physicians, counsel should examine the rules in each jurisdiction and review all employment relationships for compliance. Civil monetary penalty laws and the False Claims Act (31 U.S.C. § 3729). These laws prohibit different forms of inappropriate business practices, such as submitting false claims for payment to the federal government or failing to return overpayments. A billing and coding audit may be useful to ensure compliance with these laws at the federal and state levels. FDA regulation. The FDA has oversight of medical devices, including software as a medical device. Telemedicine and digital health companies must determine whether or not their product is a regulated medical device and if it requires FDA clearance or approval before it can be sold. Tax-exempt considerations, if applicable. Tax-exempt providers also face the risk of entering into transactions with private equity investors. The parties in investment transactions must take care to structure transactions between tax-exempt providers and for-profit entities so as not to jeopardize the tax-exempt status of a hospital organization or create private use, which could jeopardize the tax-exempt status of outstanding bonds or generate unrelated business income for the hospitals. Notwithstanding these challenges, private equity remains an interesting option for a non-profit provider looking to finance or develop its digital health network. The telemedicine and digital health industry meets many criteria making it ripe for private equity investment. The industry has grown extensively in the past several years, and outside investment in digital companies has likewise increased in recent years. Consequently, there has been a notable increase in venture capital, private equity firms, and other investors entering the digital health investment space. Companies with reasonable histories of financial performance, scalability, and sustainability may present the most attractive opportunities for investors. With the reimbursement and legal/regulatory scheme changing at the federal and state levels to support the growth of the digital health industry, investors should seriously consider opportunities in this growing market. Christopher J. Donovan is a partner and health care lawyer with Foley & Lardner LLP. He focuses his practice on advising companies and their investors and lenders in mergers and acquisitions, recapitalizations, buyouts and restructurings as well as advising on a broad range of commercial arrangements. Mr. Donovan has particular experience in the health service, particularly post-acute, and life sciences sectors. He has a unique blend of deep regulatory as well as corporate and finance experience to bring to a transaction as a result of his consummating dozens of health and life science deals, both domestic and international. Heidi H. Jeffery is a partner and business lawyer with Foley & Lardner LLP. Ms. Jeffery has experience in general municipal, private activity bond, housing, student loan, health care, and senior living finance. In such transactions, she has served as bond counsel and counsel to developers, underwriters, credit enhancers, issuers, and borrowers. Ms. Jeffery is a member and former vice chair of the firm’s Senior Living Team. She is also a member of the firm’s Finance & Financial Institutions, Health Care Finance, and Public Finance Practices and the Health Care Industry Team. Nathaniel (Nate) Lacktman is a partner and health care lawyer with Foley & Lardner LLP. He is the chair of the firm’s Telemedicine Industry Team and co-chair of the firm’s Digital Health Work Group. He advises health care providers and technology companies on business arrangements, compliance, and corporate matters, with particular attention to telehealth, digital health, and health innovation. Melesa A. Freerks is an associate and health care business lawyer with Foley & Lardner LLP. She is experienced with advising clients regarding corporate transactions, compliance programs, fraud and abuse issues, reimbursement arrangements, regulatory compliance, privacy issues, tax-exempt status, and general counsel matters. Ms. Freerks provides transactional counsel to health care organizations where her practice focuses on mergers, acquisitions, corporate restructurings, joint ventures, general corporate matters, and health care regulation. The authors would like to acknowledge Paige Papandrea, summer associate, for her assistance with this article.